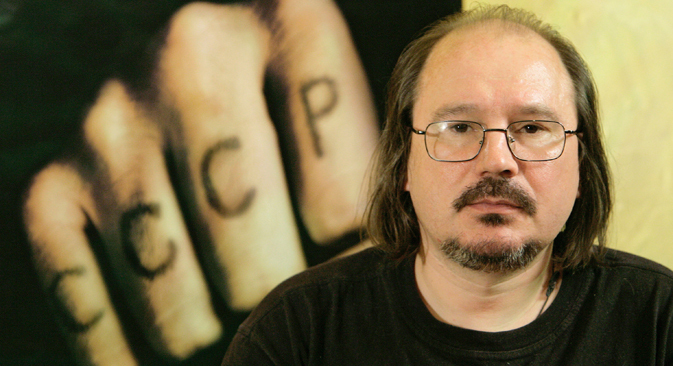 Russian film director Alexei Balabanov died near St. Petersburg at the age of 54 on May 18. His films Brother, Brother 2 and Cargo 200 remain a testament to his artistic talent. Iconic Russian film director Alexei Balabanov passed away on May 18, 2013. He is best known for his portrayal of Russia in the 1990s, particularly in his films Brother and Brother 2. Balabanov was born on Feb. 25, 1959 in the Urals city of Sverdlovsk (now Yekaterinburg) and earned a degree in foreign languages. He fought with the Soviet army in Afghanistan, an experience he drew on for his films War and Cargo 200. In 1990, after completing an advanced training course in scriptwriting and filmmaking, Balabanov settled in St. Petersburg. Balabanov’s first important production was Happy Days, shot in 1991. Constructed from the debris of the Soviet Union, the film heralded a new era in Russian cinematography. In a sense, Balabanov’s films are comparable to the works of western film directors. Certain parallels can be drawn between his movies and the early work of Quentin Tarantino in their shared taste for crime, violence and a scarcely justified passion for atrocities. One of Balabanov’s most scandalous movies, Of Freaks and Men, which provoked mixed feelings in even the most sophisticated film fans, can only be compared to The Idiots by Lars von Trier and 120 Days of Sodom by Paolo Pasolini. However, Balabanov is a purely Russian film director in spirit, who is also a product of his time. He never cared for the glory of foreign film festivals, preferring to express his love of his country and the views of a true Russian Orthodox Christian. Although Balabanov was frequently perceived by film critics and the public as a master of black humor and glorifier of violence, his films were not limited to crime dramas. He worked in a wide range of genres, completing 14 feature films, including the situational drama Brother and its sequel, Brother 2. He also made the lyrical and melancholic film It Doesn’t Hurt Me; the sardonic parody Blind Man’s Bluff; Morphia – a screen adaptation of Mikhail Bulgakov’s Notes of a Country Doctor and The Castle, based on Franz Kafka’s story of the same name. Brother and Brother 2 have become Balabanov’s best-known works. During his presidential run in 2012, billionaire Mikhail Prokhorov adopted the phrase “Truth is the real power” – the motto of the films’ main character Danila Bagrov – as his campaign slogan. Whether Brother, which portrays the relationship between a former soldier and his brother, a hitman,was Balabanov’s best film, is a matter of opinion. The key to the movie’s success is most likely that it was made at the right time and in the right place – Russia in the early 1990s. Brother was the first film that dramatized what was being shown in the news every day, and the characters spoke in everyday language. The character of Danila Bagrov eventually acquired mythical status as noble champion of the humiliated and insulted, the epitome of truth and power. Despite the hype around the Brother series, Balabanov’s later works are no less worthy of attention. In these films, the director gravitated towards allegory and complicated metaphors, mixed into dark, violent films. Cargo 200, for example,is a psychological thriller that combines the features of a B-movie with a strong anti-war message. When he was working on the film, Balabanov knew he was sick. Me Too is thus saturated with a sense of inevitability. At the end of the movie, the character portrayed by Balabanov himself drops dead on the snow. When director Alexei German passed away in February, some cinema critics announced emphatically that there was only one film director worth knowing left in Russia – Alexei Balabanov. Now, Balabanov is also gone. Both German and Balabanov left unfinished projects; Balabanov had been working on a script with the tentative title My Brother is Dead for a film about Stalin’s youth, while German’s last film The History of the Arkanar Massacre is being completed by his son Alexei German, Jr. Similarly, Balabanov’s last project will most likely be finished by his son, budding filmmaker Fyodor Balabanov. Film fans see these projects as a passing of the torch to the next generation, which may yet produce the next great Russian filmmaker.